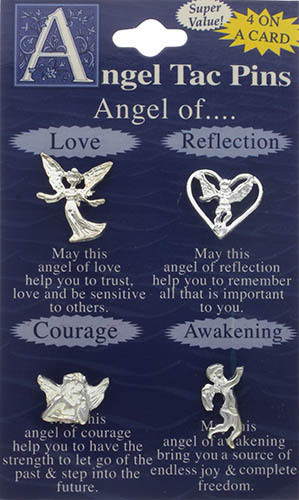 4 Special Angel Pins Set available in Gold or Silver: Love, Reflection, Courage, Awakening Pins measure approximately 5/8 of an inch in height. 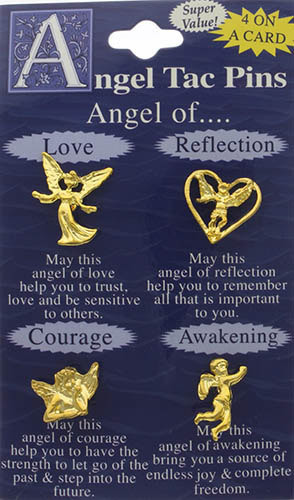 Popular small gold guardian angel lapel pin. All of the Pins are on one card Angel Card. Available in sliver or gold. In a world needing Angles these are the best!